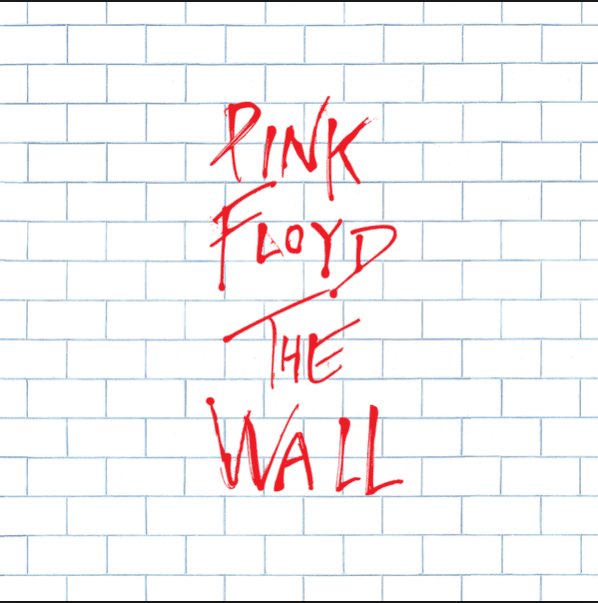 The Wall is the 11th studio album by the English Prog-rock band Pink Floyd. The album, recorded in 1979, is a rock opera telling the story of a boy called Pink. As of 2018 it has sold 24 million copies and is Pink Floyd’s second-best selling album (the first being 1973’s Dark Side of the Moon). The concept of pink was born from the personal experiences of some of the band members: ex band leader, Syd Barrett, whose mental health had suffered a decline due to drugs and fame, and Bassist Roger Waters, who lost his father in World War 2 and was brought up by his mother. The album explores the concepts of social isolation, alienation, drugs, fame, parenting, domestic abuse and fascism – really happy topics. The story follows Pink as he is brought into the world and raised by his over-protective mother; he doesn’t fit in well at school and pursues a career in Rock and Roll. This, in turn, leads him to drugs and prostitution. All these bad experiences lead him to build a ‘metaphorical’ wall separating him from reality, isolating himself in his hotel room watching TV. After tripping out on drugs, he imagines himself as a fascist leader and goes on a rampage around town with his blackshirts. However, his mind puts him on trial and he wakes up from his dream to tear down his wall…. Or does he? There are many songs to the album that people recognise, such as ‘The Happiest Days of Our Lives’ and ‘Another Brick in the Wall Part 2’ which, combined, are sometimes known (incorrectly) as ‘We don’t need no education’. A single version was the last number 1 of the 1970s. ‘Comfortably Numb’ is a blend of a great lyric and (in my opinion) the best guitar solo of all time done by David Gilmour (sometimes in the live versions the solo can go on for about 5 minutes of pure experimental guitar). ‘Run Like Hell’ is another popular choice, an up-beat dance like track (despite the lyrics talking about fascists beating people up). I particularly like ‘In the Flesh?’ and ‘In the Flesh’, two similar songs that introduce different phases of the album and have an awesome build up. However, the recording of the album, ultimately, broke the group. This was the culmination of the Roger Waters era: as he led the band away from the more collaborative work of The Dark Side of the Moon and Wish You Were Here, his own ideas and concepts began to take control of the agenda. By the time of The Wall, he was disagreeing frequently with his other bandmates. As co-operation fell apart, the band began recording in the studios separately. ‘Comfortably Numb’ is said to be the last time Roger Waters and David Gilmore both wrote something together. Richard Wright, who played keyboards, was also fired by Waters, but later brought back to go on the tour. Nevertheless, the tour proved successful, with a live album version, entitled Is There Anybody Out There? expanding some of the story, adding new lyrics and instrumentals to the songs. In 1982, The Wall became a film, with Bob Geldof playing Pink. It also featured cartoons from Gerald Scarfe and was directed by Alan Parker. Sequences from the film would become the basis for music videos for the songs which still perform well on Youtube today. While Pink Floyd are no more, there are rumours Roger Waters will be taking it on tour again in the near future.